Mohamed, 6 years old. 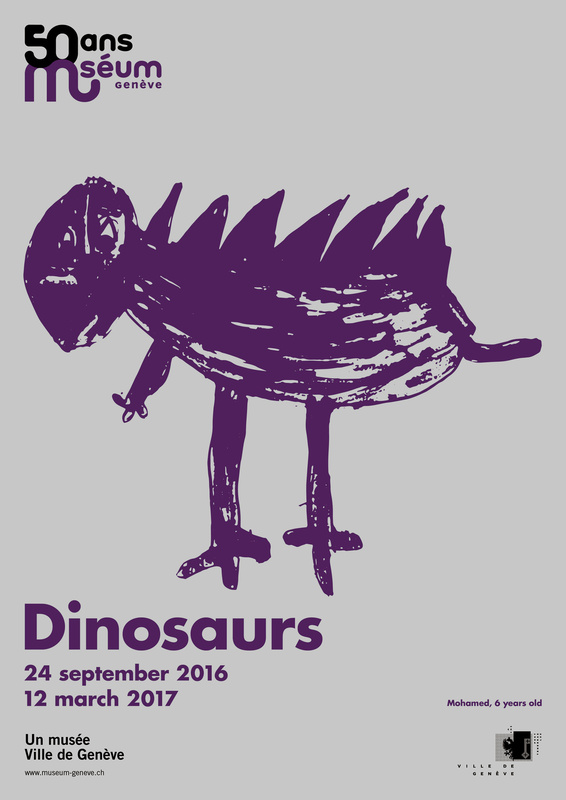 Poster campaign for a special exhibition on dinosaurs at the museum of natural history in Geneva to mark its 50th anniversary. For this, a class of 5 to 6-year-olds were asked to draw their favorite dinosaur at the museum.